Do I Have To Run To Lose Weight? Nope, Not Unless You Enjoy It! Losing weight is essentially about energy balance, if you want to drop some body fat then you are going to have to burn more calories than you consume for a prolonged period of time. While exercise is very important for addressing the energy imbalance, your number one priority should be concentrating on your nutrition. A better approach would be to focus on losing body fat while building (or at least maintaining) lean muscle mass through resistance training. Nevertheless, getting back to the original question, do you have to run to lose weight? No, the answer lies in a combination of effective dieting, resistance exercise, and yes, you can use cardio (of any form) too. However, if you hate running, then it is absolutely possible to lose weight without it. Contrary to what many people believe, resistance training is a much more effective way to shape your body. It is the best way to metabolism raising, lean muscle mass and is also very effective at burning fat. If performed in a circuit, it can raise your heart rate and burn many calories during your training session. In addition, high intensity (i.e., high-effort) circuit training can enhance your metabolism rate for up to 24 hours after your workout. Alternatively, you can perform a resistance training session and then add your High-Intensity Interval Training at the end which is another effective strategy. Having said that, running does burn a significant amount of calories and can definitely help in improving body composition. However, not all running is equal. 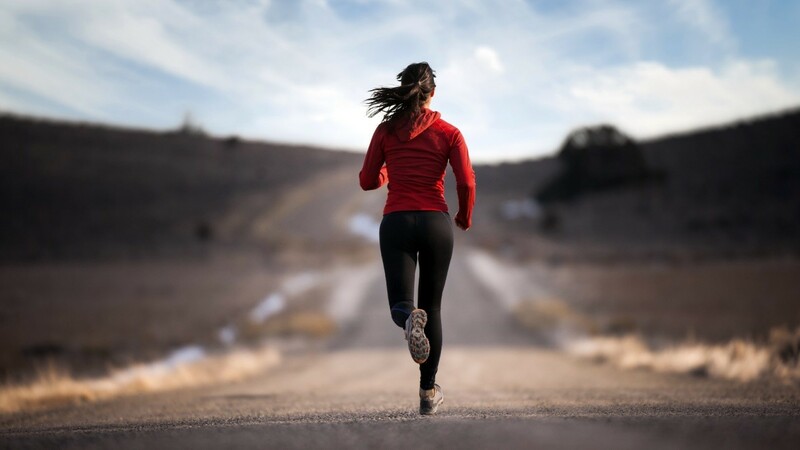 The body quickly learns to adapt to steady-state cardio like jogging so if you are one of those people who runs three miles every time you go the gym and are striving for weight loss, chances are you are plateauing. The reason being, over time you would burn fewer and fewer calories for the same amount of effort. This is because your running economy (how many calories it takes to run a certain distance) will adapt and improve as you become more efficient. If you do want to keep running, you could try mixing up your running routine with some interval training. Simply put, interval training is when you do periods of higher-intensity work (i.e., 80-95% of your Maximum Heart Rate) followed by periods of lower intensity recovery (i.e., 60-70% of your Max Heart Rate). So, for example, you may run for 60 seconds at 80-85% of your Max Heart Rate; then recover until your heart rate reaches somewhere between 60-65% of your Max Heart Rate and then repeat this process for a total of 6-10 times depending on your current fitness level. Try using the above example, twice a week for 4-6 weeks as a way to change up your current routine of steady-state jogging. Following this type of training session will keep your body from adapting so easily. However, in order to get the greatest return on your investment of training time, try to make resistance training your top priority, followed by interval training and then steady state cardio.